The Buffalo is the Most Dangerous of the Big Five. Here’s Why. Home » News » The Buffalo is the Most Dangerous of the Big Five. Here’s Why. You’d be forgiven that buffalo are merely large bovids resembling cows with irregular battle-scarred helmets. These giant herbivores give the appearance of being unassuming, placid and rather sedentary cow like creatures. They certainly don’t have the big cat carnivorous menacing streak that alerts us to danger. 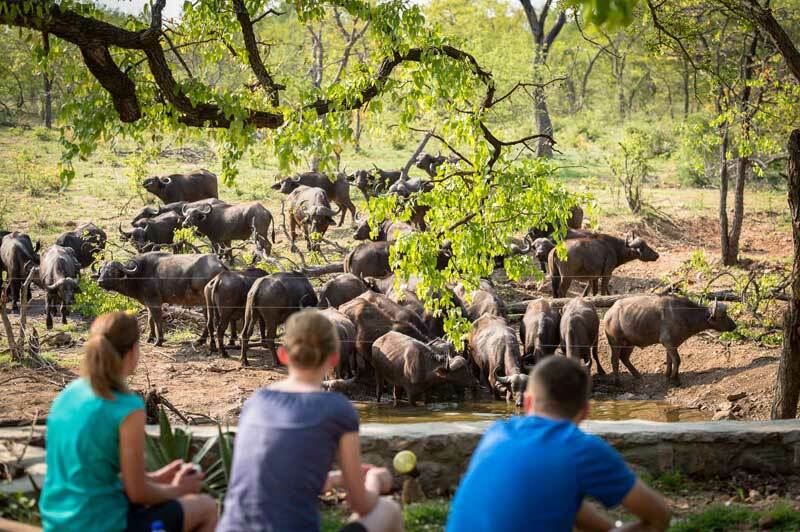 Buffalo bulk graze their way through the bushveld with ease, with their designated pathfinder leading them to pristine waters for lengthy drinking sessions. They’re just herd herbivores casually hoofing it through the ‘veld. Hardly looking like warriors and fearless fighters, buffaloes are often overlooked in favour of finding dangerous predators. Do not be fooled by the above. And do not think that the buffalo is placid. They play a dangerous game, one that ensured their place in Africa’s big five, a term coined years ago to categorise the most dangerous game to hunt on foot. Nowadays the big five is is simply a marketing descriptor for the big game and elusive cats that safari-goers eagerly seek to find. Buffalo Never Forgive. They will Find you. Just like Liam Neeson’s favourite line from “Wanted”, buffalo “Will find you and will kill you”. Okay, that’s possibly a bit extreme, but you get the drift. Back in the bygone era when hunting the big five was a “thing” it was said that the buffalo killed more hunters in Africa than any other animal. When wounded, they become aggressive and angry. They would seek revenge on the hunter and even remember the encounter the following day. If wounded they would circle around their enemy and counter-attack, instead of fleeing. Do not anger a buffalo if you cross their path, they will charge instead of fleeing ! A mother protecting her calf can be dangerous, a wounded buffalo can be lethal and an old bull past its prime is nothing short of insecure and grumpy. Buffalo Give No Indication of Emotion. Prior to a lion charging they might give a warning roar and will stalk their prey. The pride might begin to circle prior to ambush. An elephant mock charges, flays its ears and makes a noise. Even rhino will give an indication of charging, with black rhino being particularly territorial and aggressive. With buffalo, they remain statue like before suddenly charging and trampling everything in its wake. There is simply no indication or behavioural changes before a buffalo charges. Buffalo are Bulky and Charge at Speeds of Up to 50 km. The Cape buffalo charges at an average 50 km per hour. They will target you and charge immediately once they’ve locked their eyes upon you. At the last minute he will drop his head, and by then it’s too late. Dagga Boys (Colloquial Term for Old Bulls) are Temperamental. Dagga boys are old bulls that have been ousted from the herd and no longer have the protection of the herd. They tend to break-off from their herds and form tight bachelor groups with other dagga boys. Days are spent wallowing in mud holes and exercising their dominance. Dagga is a term that means “mud”, which is pretty much where you will find the old bulls. Dagga boys are massive in size and stature, and normally have a deeply etched boss (horns) from many years of sparring and protecting herds. Beware the buffalo. 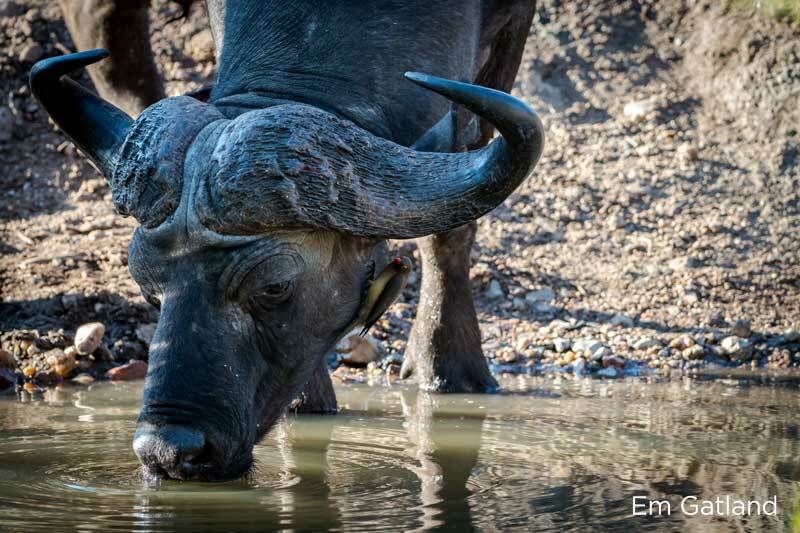 Especially the old bulls that are normally found in small groups hovering around waterholes ! 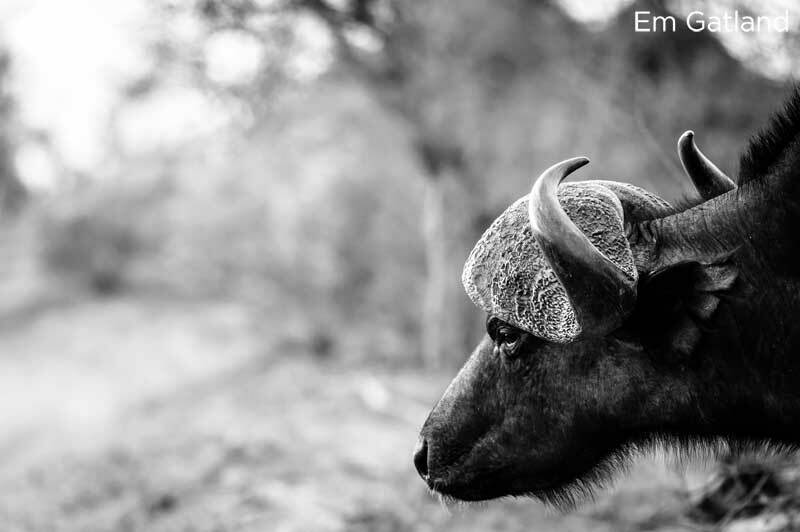 Now that you understand the buffalo, the next time you’re on safari and you want to find the dangerous animals – go and find the buffalo, AKA Black Death.